What would you do if you were estranged from your homeland, and forced to make a new country your home? You’d hang on dearly to what you knew, and embrace the new! 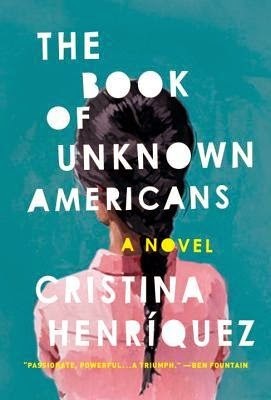 Cristina Henríquez new book, The Book of Unknown Americans is a brutally honest novel, that highlights the resilience of the human spirit. Cited as a dazzling, heartbreaking page-turner destined for breakout status, The Book of Unknown Americans primarily revolved around a story of a Panamanian boy and a Mexican girl: teenagers living in an apartment block of immigrant families. Major’s family came to a small town in Delaware because of the fighting in their own hometown. Burnt-out cars, the rubble of buildings, charred palm trees along the sides of the road; when they left, it looked like a completely different place. But the Panamá that his parents want to hold on to smells of sweet fruit and dogs barking in the alley. This is home! And, a place can do many things against you, but if it’s your home or was your home at one time, you still love it. That’s how it works. Maribel’s story is a bit different. Her family came to Delaware because of her. They wanted a chance to see the light in Maribel’s eyes. And, they were told that this would only happen in America. People do what they can in this life. They survive the best they can. Some stories turn out wonderfully; some don’t always follow a beautiful prose. But in the end, you've got to realize that it’s your story. The Book of Unknown Americans isn't some cheesy teen love story. It is profound storytelling, with a multitude of voices, each one distinct and authentic. It is amazing how Cristina Henríquez manages to keep the reader captivated even with the introduction of multiple characters into the story line. This is a mastery of the craft of storytelling that will capture your heart, mind and make you see the world around you a little differently. It should be a recommended read in all schools. Compassionately written, a beautiful story of identity and belonging. The Book of Unknown Americans is published by Random House of Canada, a Penguin Random House Company.